Women’s health issue—If you are a female and have used talcum powder, then you have an increased risk of ovarian cancer. 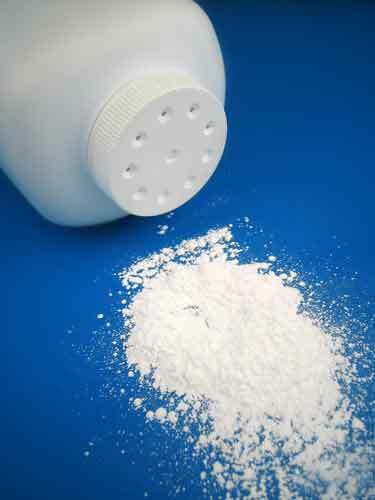 There are clear dangers to women who have routinely used talcum powder, including baby powder and Shower-to-Shower. If you are a female—be aware, use of talcum powder can cause ovarian cancer. If diagnosed with ovarian cancer, contact Shakeshaft and Gorman Law Firm. The dangers from using talcum powder are real! Since the 1980’s the manufacturers have known of the highly increased rates of ovarian cancer from the use of talcum powder. There is up to a 60% to 80% increased risk of developing ovarian cancer from regular use of talcum powder. If you have used baby powder or Shower-to-Shower talcum powder for genital dusting on a daily basis, you may be entitled to compensation. You may be entitled to damages for developing ovarian cancer from the use of talcum powder. Contact Shakeshaft and Gorman Law Firm to understand your rights. Let’s meet to talk about your case and your rights. You can schedule a free initial consultation with us by calling (719) 635-5886. You can also email us using the contact form on this page. We don’t get paid until you get paid, so you have nothing to lose and everything to gain by contacting us today.